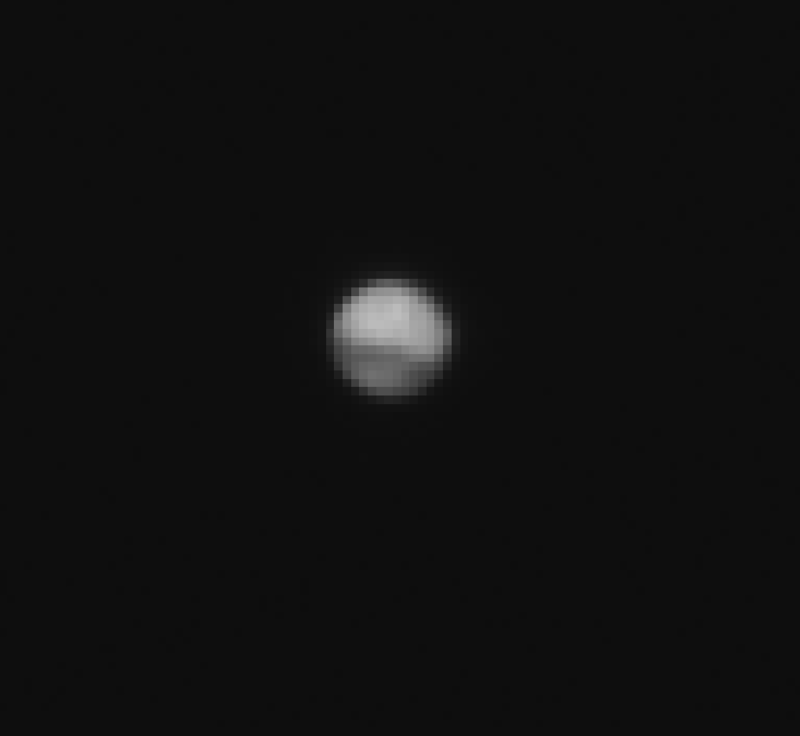 The ExoMars Trace Gas Orbiter acquired its first image of Mars on 13 June 2016 as part of its extensive instrument commissioning en route to the Red Planet. The line-of-sight distance to Mars on 13 June was 41 million kilometres, giving an image resolution of 460 km/pixel. The planet is roughly 34 arcseconds in diameter at this distance. The Tharsis region of Mars, home to the planet's largest volcanoes, faces the spacecraft in this view.